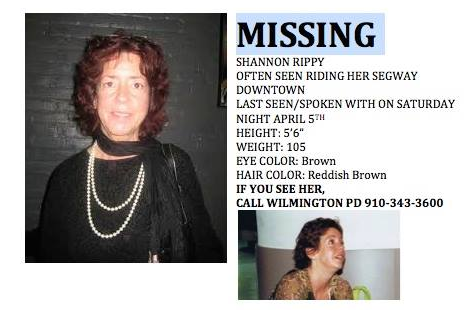 Fellow film industry friend Shannon Rippy has gone missing. For those who don’t her she has been a production manager as well as a UPM for Wilmywood flicks such as Virus, Night Flier and others. She is very missed and very loved. I sure do hope she is found, that’s very sad,.